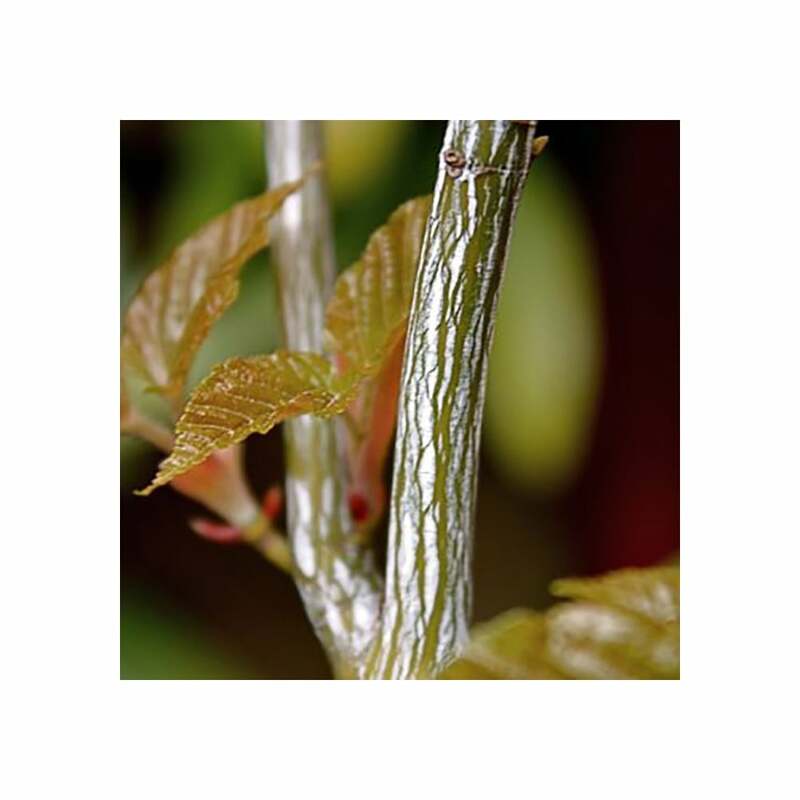 Acer davidii has striking green and creamy white striated bark that resembles snake skin. This bark makes for fantastic winter appeal, with its bold white snaking lines. Known as a Snake Bark Maple Tree, Acer davidii is a popular ornamental garden tree. The leaves are large and subtley lobed, starting mid-green and turning good shades of orange and yellow in winter. When planted in any soil with good drainage and out of cold winds Père David's Maple tree will grow to 5 x 4 meters in 20 years and will form a slightly spreading shape with arching branches. We recommend planting Acer davidii Snake Bark Maple trees with a staking kit. For single stakes, knock the stake in at an angle and use a buckle tie with a spacer to prevent chaffing. For more advice, visit the help section. Acer davidii Snake Bark Maple trees do not require a lot of pruning. Remove any damaged or diseased branches when the tree is in leaf or just after leaf fall. This will prevent bleeding, which although it is not detrimental, can look unsightly. When pruning, make sure to maintain an even framework, step back and assess your work and prune proportionately.